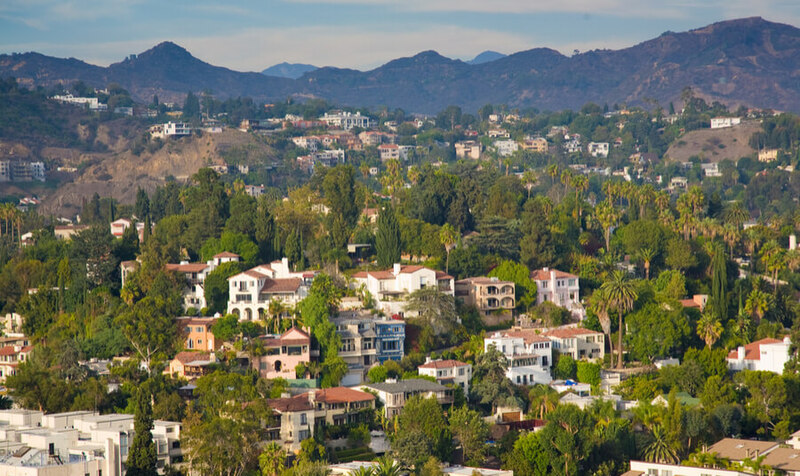 Located in the beautiful West Hollywood, California, the CAST Centers offers its help to substance and alcohol abuse patients, patients struggling with mental issues such as depression, anxiety, bipolar disorder and best of all – the staff at the CAST Centers offers a dual diagnosis. Dual diagnosis is a program that helps the patient with his/her substance and/or alcohol abuse problems while they are looking into the mental problem that requires medical help as well. For that purpose, both individual and group therapies are performed as a part of the treatment process at the CAST Centers. Patients can choose from outpatient and inpatient programs and use all of the extra amenities that are offered as a part of the treatment at the CAST Centers. No detoxification is performed at the CAST Centers and the patients are required to complete the detox plan before they sign up for the recovery treatment at the CAST Centers. Two adjoining duplexes are where the patients at the CAST Centers are living during their stay. Each patient is living with at least one roommate in a shared apartment with 4 bedrooms, a bathroom, a living room, and a kitchen. One apartment can hold a maximum of 4 patients although usually there are only 2 patients sharing one apartment. A wireless internet and cable TV is available at all times at the CAST Centers. All costs for laundry and groceries are covered by the fee that the patients pay upon their arrival at the CAST Centers. Inpatient treatment – The inpatient program requires the patient to stay within the grounds of the CAST Centers as long as the recovery period lasts. As a part of the inpatient program, the patient is required to visit scheduled individual and group therapy and engage in all of the activities which are planned to take place at the CAST Centers. Since the detoxification part of the recovery is not provided at the CAST Centers, the patients are required to pass this step before they register at the CAST Centers. Outpatient treatment – Patients can also choose to stay at home and visit the grounds of the CAST Centers to receive their weekly therapies – individual and group therapy sessions. Dual diagnosis – Apart from treating drug and alcohol abuse, the staff at the CAST Centers also provides help for mentally ill patients, especially for cases of depression, anxiety, bipolar disorder, etc. Dual diagnosis is a treatment program designed for patients who are struggling with drug and/or alcohol abuse as well as a mental issue. We do not have any specific information about the cost of the treatment at the CAST Centers, so we encourage our readers to contact the official staff at the CAST Centers for more information. However, what we did find out from their official website is that CAST Centers accepts most of the insurance plans that can cover a part amount of the drug and alcohol abuse treatment as well as dual diagnosis. According to their official website, the CAST Centers has been accredited by the Joint Commission for providing the highest quality of treatment service within their grounds. One thing that you rarely find other rehabilitation centers providing are the sober companions at the CAST Centers. Basically, every patient has the option to hire a sober companion that the CAST Centers will provide to accompany them during their trips and any kinds of events after they have finished their recovery program. A sober companion can accompany the patient during the holidays, family gatherings of any kind including funerals and any events that might trigger stress, substance or alcohol abuse. While for the patients who are staying at the CAST Centers, there are music, writing and art workshops including improving as well to amuse themselves in their free time. Neurofeedback is another amenity that takes place at the CAST Centers. All of the patients are required to undergo two neurofeedback sessions weekly. Also referred to as Coach Mike, Mr. Bayer is the founder and the CEO of the CAST Centers. He is a personal development coach who guides the patients to change their lives from the core and develop strategies and abilities that will serve them later in life. Dr. Rodriguez, a specialist in Internal medicine and Gastroenteropathology. He is the medical director at the CAST Centers but also a proud author of two best-selling books! Dr. Rodriguez can be often found sharing his professional opinion on CNN, The View, The Doctors, etc. A former director of Kaiser Permanente’s Outpatient Psychiatry Department for Los Angeles Sunset and Pasadena Outpatient Clinic, Mrs. Mylett has more than enough experience and skill required to guide her patients at the CAST Centers. Using his years of experience in the field of outpatient treatment programs, Mr. Oppenheimer is one of the best clinical therapists at the CAST Centers. He is responsible for providing top-notch care for this patients, working with them in both group and individual therapies. Working as a group and individual psychologist, Dr. Racine is another high-quality member of the staff at the CAST Centers. After receiving her Master’s degree and undergraduate degree, Dr. Racine has used her knowledge to help numerous patients at various facilities until she has earned her spot among the staff at the CAST Centers. Mr. Gonsalves has a lot to show for himself having earned his education in different countries around the world until he became what we wished for himself to be – a clinical therapist and right within the walls of the CAST Centers. His working experience as a drug and alcohol advisor back in San Francisco has made Mr. O’Niel realize that nurturing and guidance are vital parts of the journey towards recovery. That is why today, Mr. O’Niel is found working as a group facilitator at the CAST Centers helping patients put any drug and alcohol abuse behind them. With her B.S. in Psychology, Mrs. O’Brien is helping the patients at the CAST Centers build productive and healthy lives after their recovery is finished. She also helps them prepare for what is about to come as soon as they are to leave the rooms of CAST Centers. Amelia Harmon is a clinical therapist with her background in social work and Psychology. Mrs. Harmon adds to the quality of the team at the CAST Centers without question and she has her satisfied patients to show for it!